AYO Technology Solutions has denied its unaudited financials were amended, saying it is "extremely perturbed" by allegations made by two former executives. "AYO strongly refutes such claims and wishes to assure all stakeholders that this was not the case," a company spokesperson said on Wednesday evening. The IT group released the statement shortly after the JSE announced it had asked AYO to engage with its external auditors "on an urgent basis" in light of testimony presented at the ongoing judicial commission of inquiry into state-run asset manager the Public Investment Corporation. The commission is investigating allegations of wrongdoing at PIC, which manages R2.2trn in investments on behalf of public servants. The PIC invested R4.3bn in AYO in late 2017. Earlier in the week AYO's former CEO, Kevin Hardy, told the commission that the group's chief financial officer (CFO) was instructed to tamper with the figures of AYO's maiden interim results filing to "reflect an inflated number to the market". Hardy said the instruction came from Iqbal Survé, the head of investment holding company Sekunjalo, and two other officials. 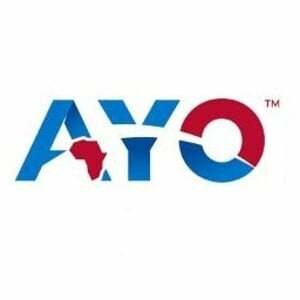 AYO is an associate company of African Equity Empowerment Investments (AEEI), a subsidiary of Sekunjalo. AYO's former chief technology officer, Siphiwe Nodwele, testified that while he did not have first hand knowledge of the matter, a message posted by the CFO in a company WhatsApp group spoke of an order to "massage the numbers for the interim report". Survé has denied ordering AYO to tamper with financial filings. In response to a request for comment, a Sekunjalo company spokesperson said he "has no knowledge of this and suggests that this question be put to AYO, whom he is certain will refute this serious allegation". AYO on Wednesday evening said it was cooperating with investigations. "[T]he company is co-operating with the JSE and its request to have its external auditors examine the company’s unaudited interim results for the period ending 28 February 2018 as well as for the period ending 28 February 2019." The company said it was being tried in the media. "AYO is deeply concerned that the claims from Mr [Kevin] Hardy and Mr [Siphiwe] Nodwele – both former executives who themselves did not wish to submit to a forensic investigation of their company dealings – have led to AYO being tried in the media (again) and found guilty before being proven innocent," AYO said. "AYO, requests that the media respect facts and not rely on unsubstantiated reports and allow due process to occur." If the executives concerned "truly believed" that company results were being unlawfully amended, AYO added, "then it was their fiduciary duty to report it to the board and/or to the proper authorities". "Since there was nothing untoward in the submitted unaudited financials, there was nothing to report." AYO's external auditors, BDO Cape Town, told Fin24 on Wednesday they would investigate the allegations. "We did not review or audit the interim results as this was not required," BDO Cape Town's Managing Partner Ian Scott wrote in an email to Fin24. "This is a concern to us and we want to understand what happened so we can consider the implications."